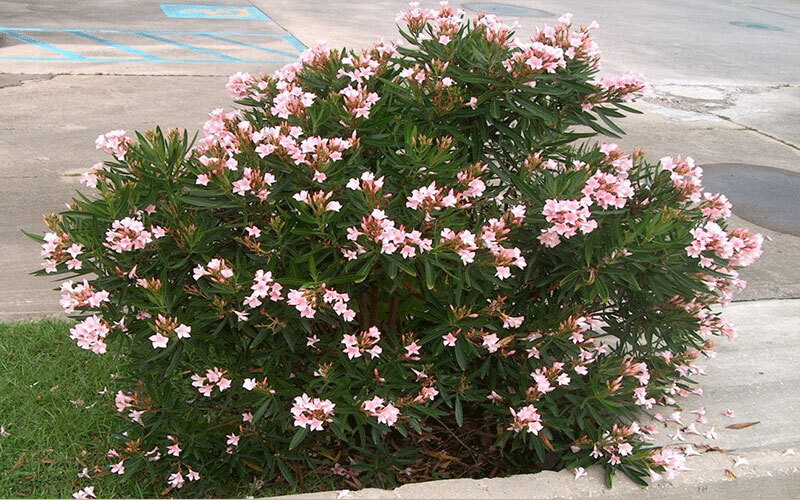 This smaller size makes oleanders available to homeowners who don't have the large space it takes to grow full-size varieties. If you ever wonder if a shrub is easy care, check to see how many commercial locations are using it. 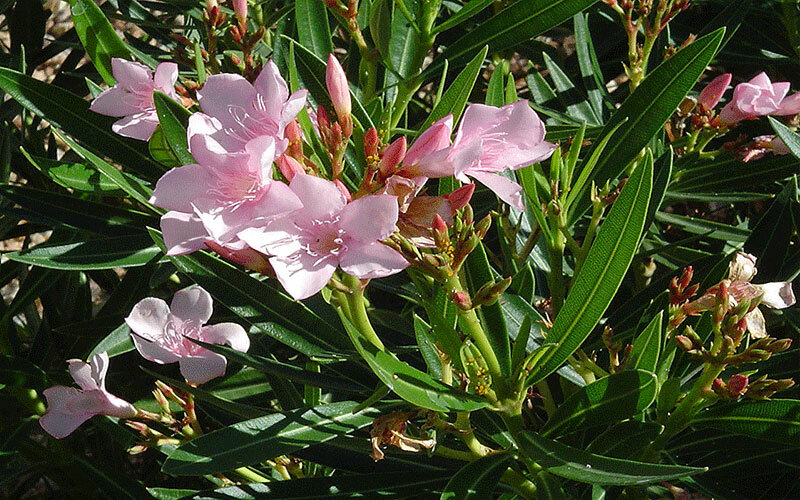 Dwarf oleander is often planted on the grounds of banks and other businesses. Care is minimal and the rewards are great. Plant in spring, summer, or fall, spacing plants 3 feet apart or closer if you want a hedge line. Dig a hole only as deep as the root ball and 2 to 3 times as wide. If your soil is in very poor condition, amend the soil you've removed from the hole with a small amount of compost. Otherwise don't amend it at all. Carefully remove the plant from the container and set it in the hole. Fill the hole half full with soil, then water it well to settle the soil and eliminate air pockets. Let the water drain, then fill the remainder of hole with soil and water thoroughly. Add top soil to the hole when you plant or substitute organic peat humus. You can add composted cow manure as well to enrich the soil around the root ball. Cut back hard in the spring late March or early April. Trim to shape anytime. 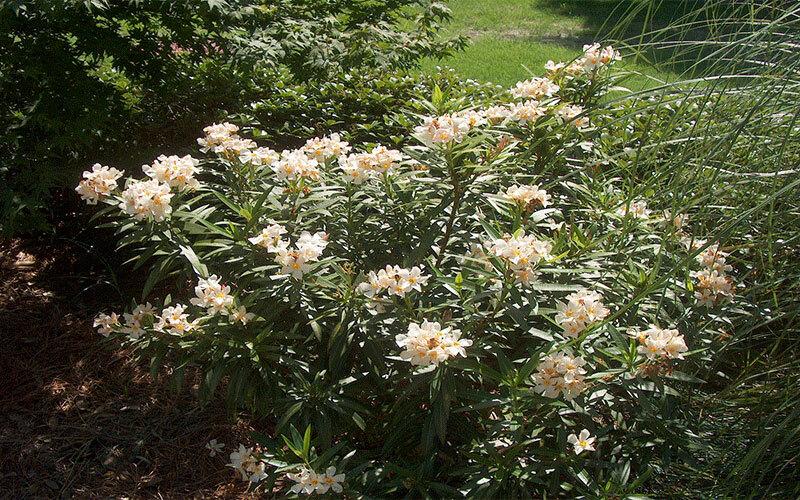 Plant Spacing: Place these dwarf shrubs about 3 feet apart. They're best planted away from the house to avoid possible caterpillar problems, but if you decide to plant against the house come out at least 3 feet. 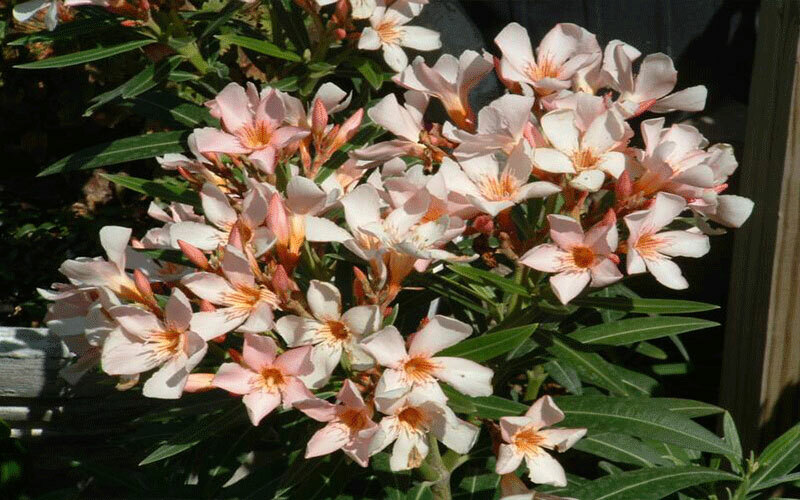 This small, pink oleander will grow in a container, though it does best planted in the ground.